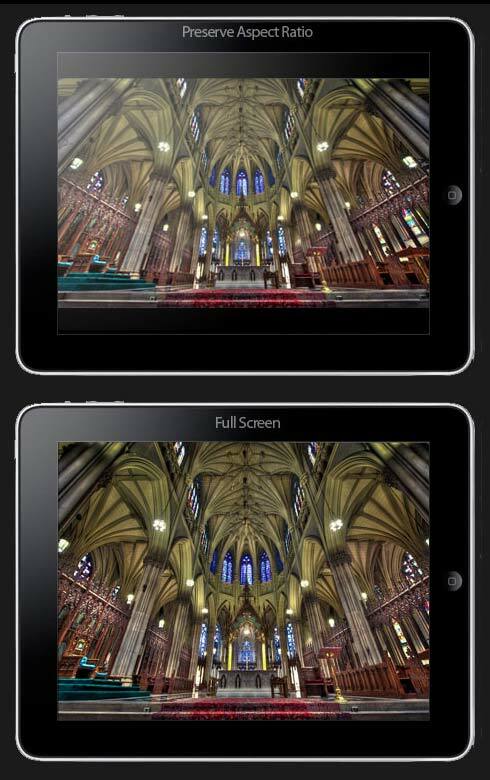 On the iPad, images will look better if they are saved, sent, and displayed at the size of the iPad’s screen rather than having iPhoto or the iPad resize them down. Also the iPad won’t automatically fill the entire screen with an image if its aspect ratio is different from the iPad’s screen size – instead you’ll get black bars at the edges (similar to a letterboxing effect). So the two free presets linked here take these factors into account, and it’s your choice which of them to use… The first preset will preserve all photos at original size and aspect ratio (and the iPad will automatically add black bars to adjust at the edges), and the second preset will fit the photos to the full iPad screen (by automatically doing a center-based crop in Light­room when it exports).